NEW YORK, NY – December 12, 2016 – Alliance MMA, Inc. ("Alliance MMA" or the "Company") (NASDAQ: AMMA), a mixed martial arts organization offering premier promotional opportunities for aspiring mixed martial arts fighters, announced today the acquisition of Ohio-based MMA promotion Iron Tiger Fight Series (IT Fight Series). This acquisition, the first since the Company completed its initial public offering (IPO) and listing on the NASDAQ stock exchange, is the initial step in executing Company’s plan to expand its total number of MMA events to at least 125 per year. In October, in conjunction with the successful completion of its IPO, the Company acquired five regional promotions including New Jersey-based Cage Fury Fighting Championship (CFFC), Washington-based Combat Games MMA (COGA), Illinois-based Hoosier Fight Club (HFC), Tennessee-based V3 Fights and Maryland-based Shogun Fights. Later the same month, it announced its plan to launch a regional promotion in Southern California. The Company plans to promote ultimately over 125 events a year, showcasing more than 1,000 fighters, through regional promotions operating under the Alliance MMA umbrella. IT Fight Series was founded by Mr. Sheeley in 1995, and currently hosts approximately ten MMA promotions per year in various cities throughout the Ohio region. This past Saturday, IT Fight Series promoted its 70th show in the Ohio Expo Center in Columbus to a sold-out crowd. 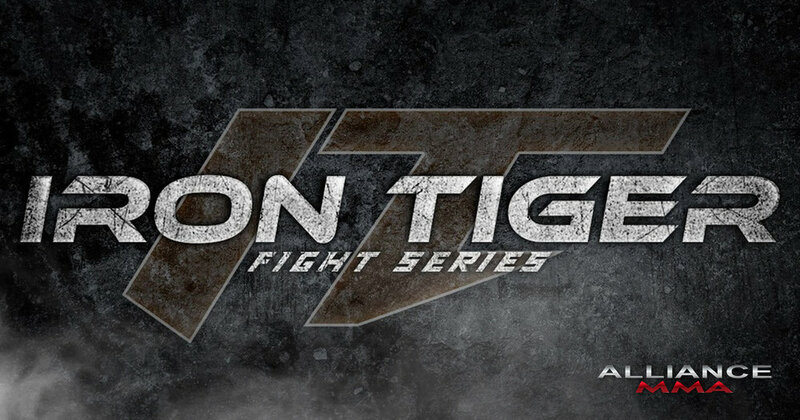 Since launching its inaugural event, IT Fight Series has promoted more than a dozen fighters who went on to compete at the highest level of professional MMA competition with Ultimate Fighting Championship (UFC), Bellator and other premier promotions. Mr. Sheeley is a former professional fighter with over 40 bouts and 25 years of experience in various styles of martial arts. He has appeared in several major motion pictures, and has created and operated a number of successful business ventures outside of his MMA promotion. Alliance MMA, Inc. (NASDAQ: AMMA) is a mixed martial arts promotion company offering premier promotional opportunities for aspiring mixed martial arts (MMA) fighters to showcase their talent and advance to the sport’s highest level of professional competition. Alliance MMA’s mission is to identify and develop the next generation of fighters and champions to eventually compete in the Ultimate Fighting Championship (UFC) and other leading MMA promotions. With some of the world’s leading MMA promotions under the Alliance MMA umbrella, the organization aims eventually to host in excess of 125 events per year, showcasing more than 1,000 fighters. Alliance MMA is also dedicated to generating live original sports media content, attracting an international fan base, and securing major brand sponsorship revenue for live MMA events, digital media and Alliance MMA fighters. Alliance MMA, Inc. was incorporated in 2015 for the purpose of acquiring businesses that engage in the promotion of mixed martial arts (MMA) events. In 2016, the company completed an initial public offering which culminated in a listing on the NASDAQ stock exchange. Alliance MMA is the only mixed martial arts promotion company that is publicly traded.